Hills is hard, there’s no denying. Just outside the village is a 9 percenter, go the other way and it’s 15.7%, a third road out is 8.5% and just a wee bit further out the hills get steep – I think you get the message. A couple of days ago I was down in England and borrowed my nephew’s touring bike. 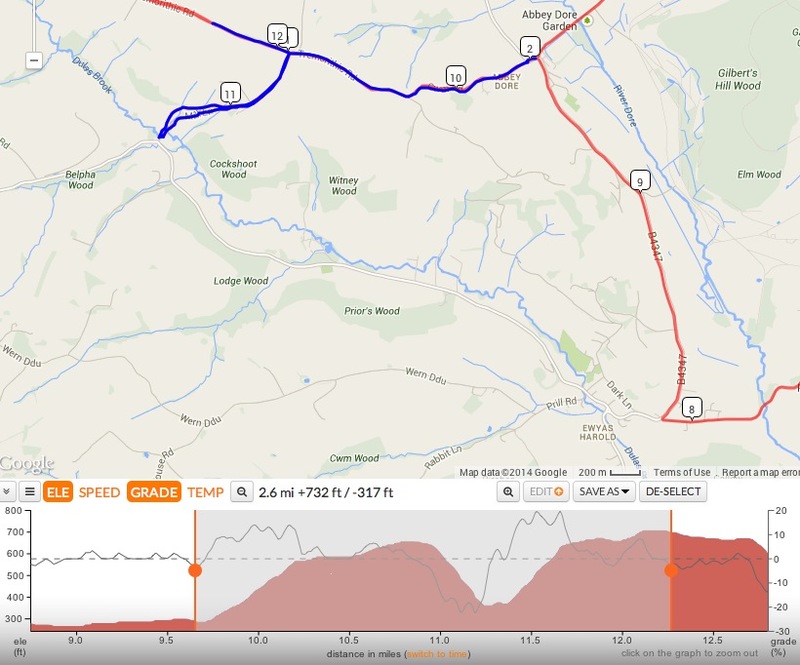 On the ride was a hill which ramped up to just under 20% – aghghghgh it was hard. I see all my friends & bike acquaintances (young & old) puffing & panting, grinding their way up the hills. I just think – crazy!!! Get some lower gears and start enjoying the climbs. My bike came with a Shimano 105 cassette, but I’ve modified it to with a mountain bike one which has a 34 tooth rear (for the non techies – a big yin!!). What bliss it is to potter up all but the steepest climbs with my wee feet whizzing away. I don’t really understand all this macho stuff, this suffer for your ride business. I much prefer to be able to just let the legs do the stuff and I seem to get up the hills as fast as most and certainly less puffed. I’ve even noticed that on the steep climbing days the professionals in the Tour de France, Vuelta, Giro etc are using bigger cogs. 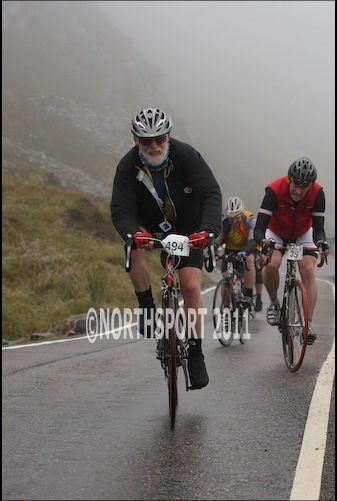 So – embrace your inner grandad and make life a wee bit easier, cycling up grades is bad enough sometimes for us mere mortals, so maybe look at making it a tiny bit easier for yourself. You can always aim for harder climbs if you like the suffering! This entry was posted in bicycle, bike, climb, cogs, countryside, Cycling, cyclist, fossil, gears, Giro, grandad, hard, hills, mist, paradise, rural, speed, Sports equipment, steep, Tour de France, Vuelta and tagged cassette, gears on June 13, 2014 by fossilcyclist.